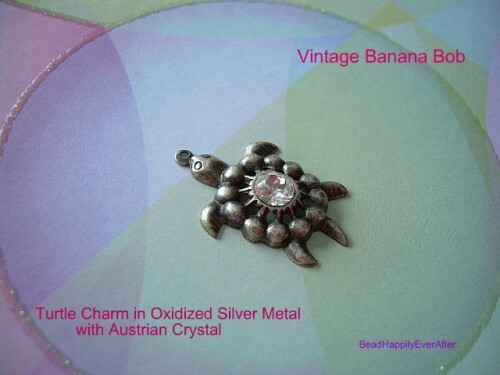 Darling Vintage Banana Bob Turtle in and Oxidized Silver metal! Embellished with a slarkling clear Austrian Crystal center. 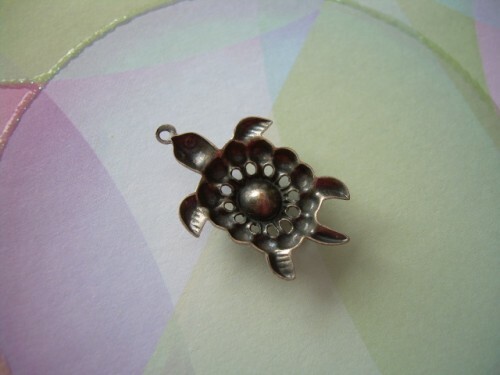 Perfect as a charm, a pendant, or purchase two and make wonderful dangle earrings! Great detail on this little fella. Very dimensional. Stamping is hollow on reverse side - see photo. Light enough to hang from an earring, yet very well made.